Having your C-Suite actively engaged on social media can promote trust, tranparency, awareness and profits for your company. So why are the majority of executives still absent from social channels? 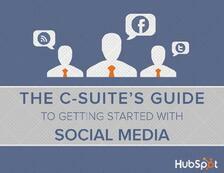 Why the C-Suite can't neglect social media any longer. How executives on social media pave the way for a company's success.